The city of Kathmandu is a ceaseless frenzy of chattering vendors, garish signs, pagoda-like temples, and the overpowering smell of incense. The surrounding hills, however, tell a different story. Sometimes I forget that North Americans and Europeans aren't the only ones mountain biking. It's good to see our sport expanding. Yep. 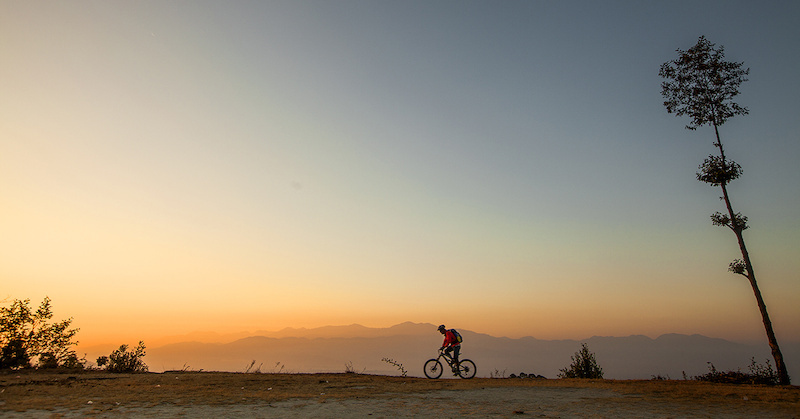 It's cool that people around the world ride mountain bikes. I loved the soundtrack!! So good! Definitely, I live over in China and mountain biking is really growing here. It's really becoming global. 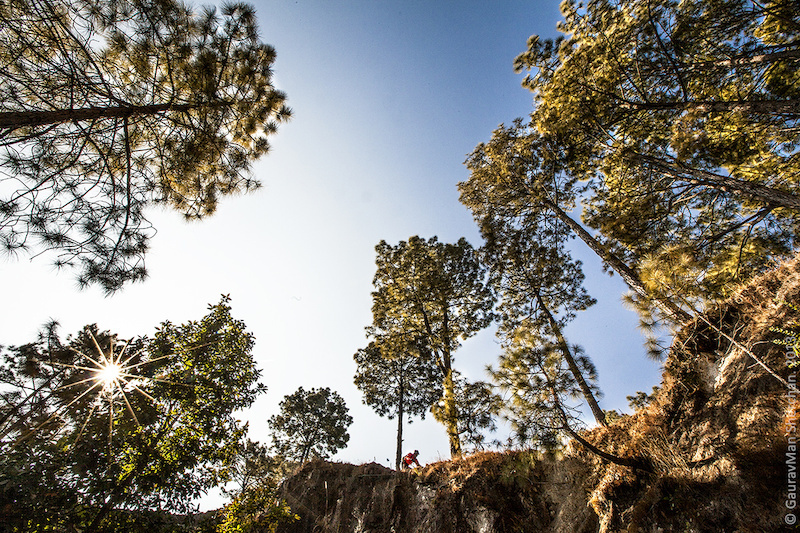 And those trails in Kathmandu looked great! Just wonderful. Lets you think that there are so much trails in the world its just too much for a lifetime and you can't decide where to start... Nice bike, too. Banshee rocks! I've ridden in Nepal, just thought I'll let yous know... haha! It was awesome, and I'll be going back for sure! Such an amazing country and some fantastic people. If this place isn't on your bucket list, well you better put in on it! YEW!! Quality! I am going there next April on my bike, hopefully I don't feast every night on Yak testicles or get violated by a Yeti. Seriously good edit. It is awesome to see an edit from such a different place featuring a local rider, it makes it that much cooler. If I ever have the time and money, I'm definitely going to leave Kansas for more vertically oriented locales. Good for them, and us, maybe in the future you must not have 3 bikes with you, its been growing and the´re may be bikeshops you can buy stuff & repair. A few years ago I spent two months there to learn Tibetan language, an boy did I regret not having a decent bike with me. Wonderful country and culture. kkkkkkkkkkkathmandu that's really really where I'm going toooooo!!! the song is great and the riding too. Nice one! I move to KTM next month for 12 months. Is there much of a riding community? I'm super stoked, but I will just need to find a bike when I get there. there is a pretty big xc community while the enduro/am scene is on the grow as well. i suggest you bring you bike over. Nice trails, got everything road, dust, rocks, mud, even a cow! Love it. Good video keep moving! nice edit, the soundtrack going from phone to surround sound was cool. Looks like a sweet place to ride. Wow, what a great place and great trails! I would love to go to Nepal one day. sorry I am the typical yank, where the hell is kathmandu? Its on the corner of f*ck you get an atlas. haha all jokes aside, pretty sure its a big city or capital of Nepal, where Everest is.